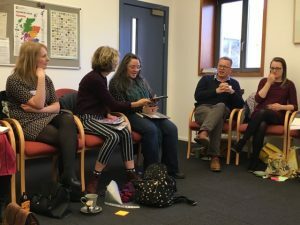 Since 2014 I have been working alongside diverse communities across Scotland to enable them share their own stories. 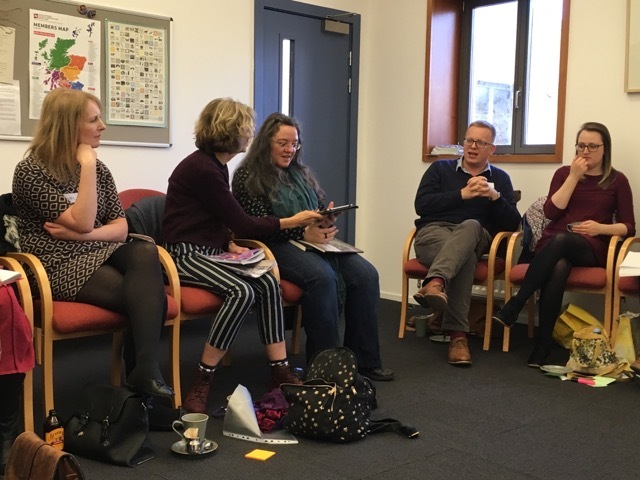 As part of local campaign Growing Stories at The Scottish International Storytelling Festival – I recently ran a workshop for storytellers where we paused to reflect on the power of memorial and the legacy of loss. The project title was daunting: Motherhood, Loss and the First World War. How should we tell the stories of a million mothers? Using letters to and from bereaved Mothers stored in national and regional archives we decided to tell their stories eye to eye, heart to heart and mind to mind. 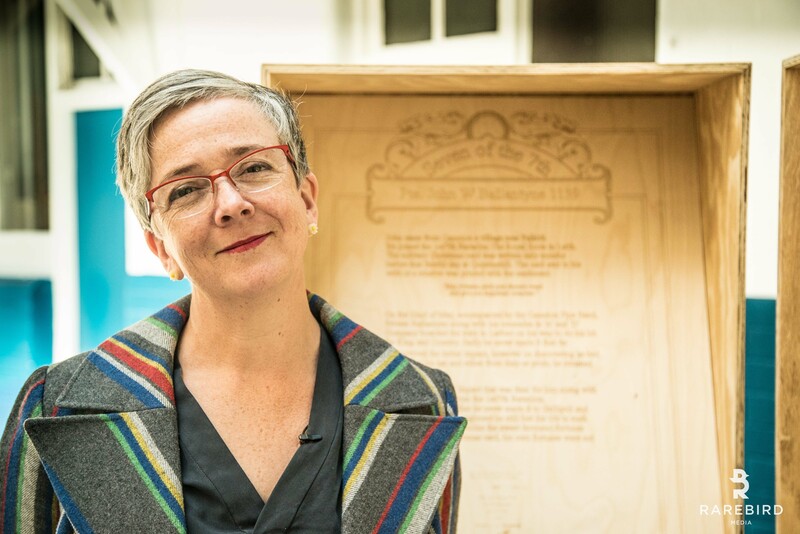 Reading the letters of Mrs Kathleen Dickson archived at The National Library of Scotland I witnessed one mother’s private grief. Both her sons were Midshipmen at Jutland; her eldest Robert aged 18 on HMS Benbow survived the battle without a scratch. In one heart-breaking letter to Bertie, following death of his younger brother Archie 16 serving on HMS Queen Mary, Kathleen explains that one third of her life has just crumbled away. In later correspondence she begs for more details of the battle, her letters tell of her need to keep busy, to get out of the house that held so many memories of her ‘delicate kiddie’. 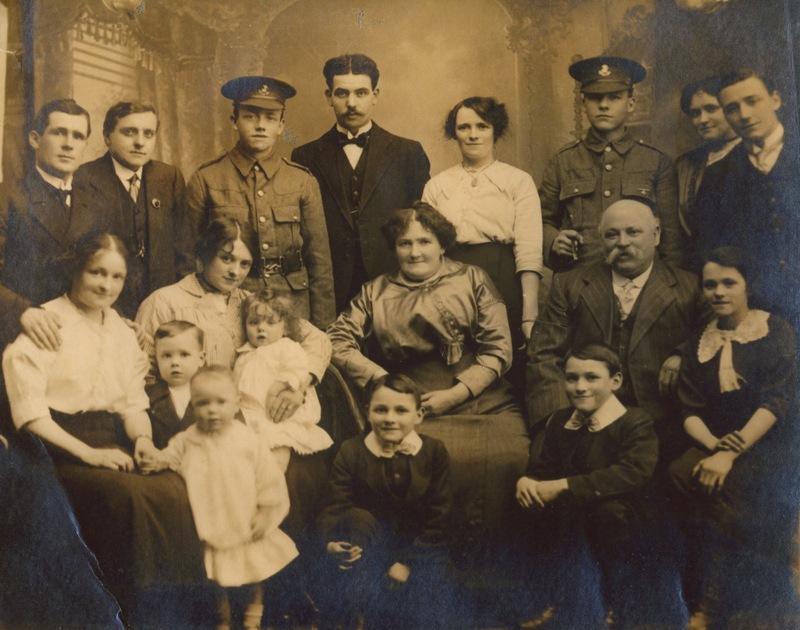 Managing her grief by visiting the wounded in hospital and consoling other mothers Kathleen did what was expected of a millions of mothers who lost sons and daughters serving in the war, she kept a stiff upper lip. These letters led to my meeting up with Kathleen’s Granddaughter Elizabeth Dickson at a conference held at Senate House in London in September by The Big Ideas Company. 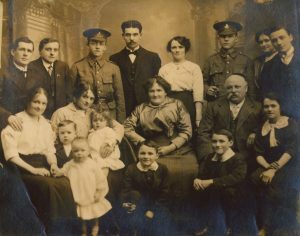 At the conference an anecdote was shared of a woman who was 6 months pregnant when she got the news of her husband’s death at the front. She spent the next 3 months weeping inconsolably and when the baby was born with eyes that were red and swollen the gossips in her village whispered that this was her fault for not bearing up bravely in public at least. Following a keynote speech we sat up until the small hours discussing the politics of grief and the legacy of the last 4 years of commemoration. Elizabeth had been involved with the commemoration of the Battle of Jutland and I had been involved with the Gretna 100 project. 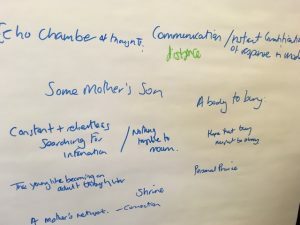 At these events hundreds of descendants were encouraged to speak out about their family and their loss as communities came to together to share their story. It is said that family trauma can surface in the third generation so it surely follows that grief can be inherited? When the guns fell silent in November 1918 so did the men, so many men struggling with PTSD never spoke about the war but many women did. Elizabeth remembers that Granny Dickson never stopped talking about Archie, similarly my own Grandmother, who lost both her own brother Harry in 1917 and her first husband Edgar in 1918, passed their stories down to me. With no body to bury Kathleen and my own Great Grandmother Jessie were relentless in writing letters to their loved ones’ comrades and captains, desperate to find any and every detail of how and where and when their sons had died. They were not told the truth however 100 years later we are saturated with images of death and destruction. Every year for over 40 years at the precise moment that a shell hit Q turret on HMS Queen Mary, Kathleen Dickson would stand on the slippery steps at Rosyth and cast a wreath upon the water the last steps where Archie would have boarded his ship, and in 2016 Elizabeth did the same. In 2014 I was invited to share my Great Uncle Harry’s story in a digital film for the National Portrait Gallery. With my Grandmother’s stories in my ear and faded letters from the front I found myself telling my Great Grandmother’s story. Looking forward in 2014 I wondered whether the nation might experience compassion fatigue. 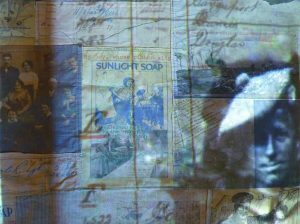 Looking back in 2018, thanks to carefully planned and funded commemorations in Scotland and projects such as Motherhood, Loss and the First World War I have been able to make some order out of the chaos and carnage of the First World War. Taking part in many creative community responses and telling these stories 2014-2018 has been both an honour and a privilege.